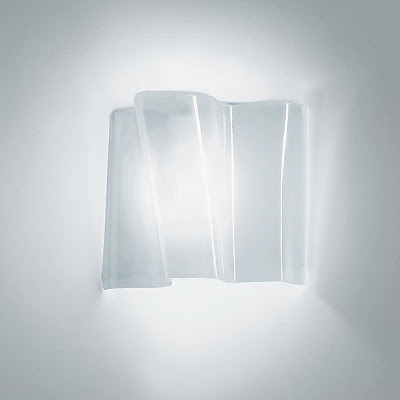 LOGICO Single White Wall Sconce in Glass from Artemide Lighting - Height 9", Width 10", Depth 4". 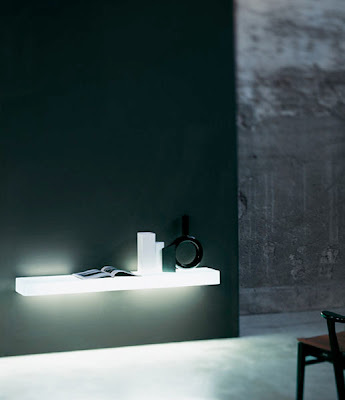 The Logico Single wall sconce was Michele De Lucchi and Gerhard Reichert for Artemide in Italy. The fluidity of the diffuser captures the essence of the Logico ceiling lamp. 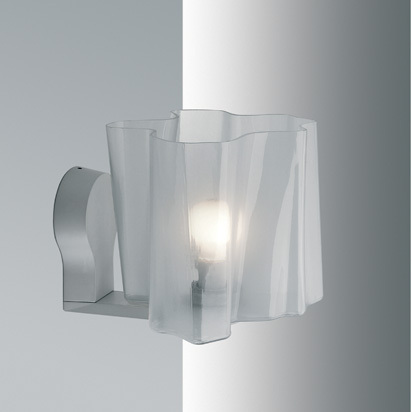 The light dances on the interior surface of the hand blown glass with satin finish. This wall mounted luminaires is for diffused incandescent or fluorescent lighting for applications with a single diffuser unit. The diffuser is in handblown glass with satined finish. Designed by Italian Artemide lamp designers Michele De Lucchi and Gerhard Reichert, the all-glass Artemide handblown Murano Logico Mini Single Wall Sconce adds modern and sculptured light elegance to any wall. 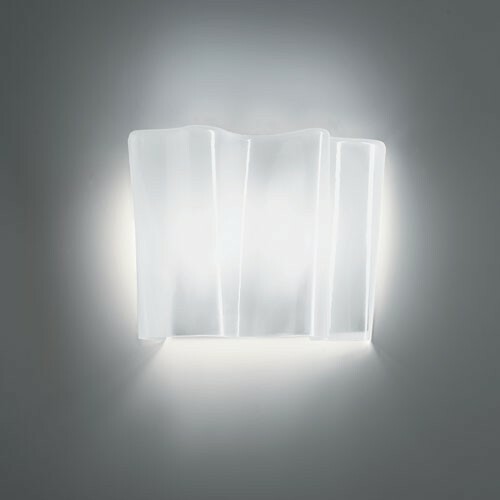 The glass wall shade of the Logico Single is made out of folds of hand-blown satinized white glass, which creates a soft and ambient diffused aura of light all around your space. 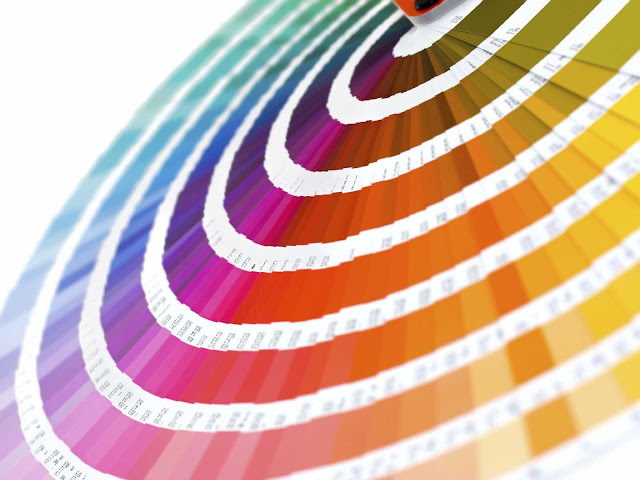 You can select either fluorescent or incandescent light sources. 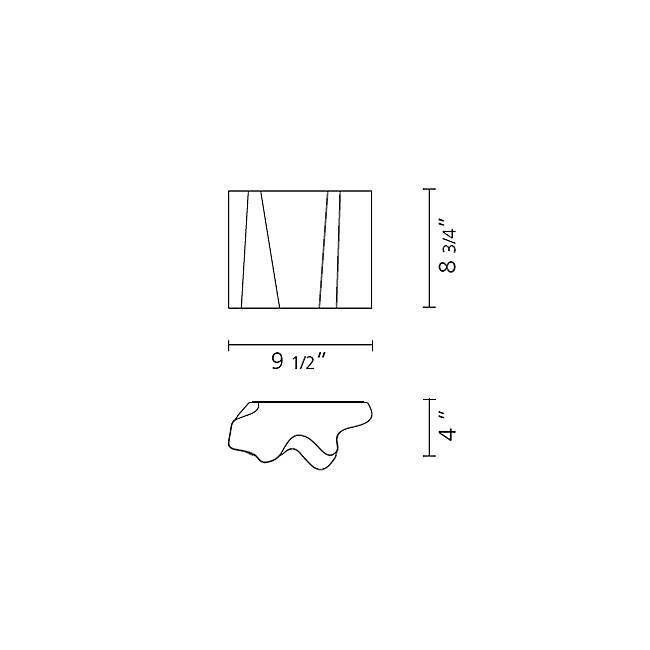 Logico lights are also available in other sizes (sold of course separately). The concealed and matching wall mounting bracket support is in grey lacquered steel and mounts to your standard electrical wall junction box. Fluorescent option utilizes two 13 Watt 120 Volt T4 Type 2Gx7 Base Fluorescent lamps (included). 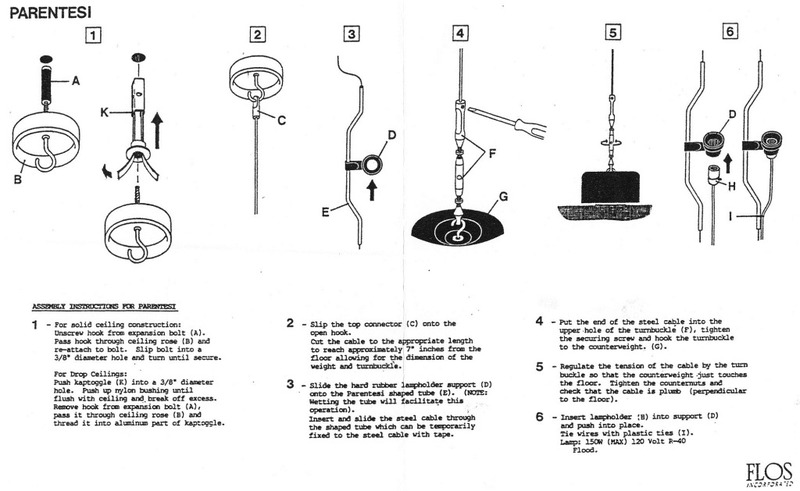 Incandescent option utilizes one 75 Watt 120 Volt A19 Medium Base Incandescent lamp (included).